Netflix’s A Series Of Unfortunate Events has scored two big, nerdish names for its second season, the better to lure viewers into its dark, drab, and desperate tale. 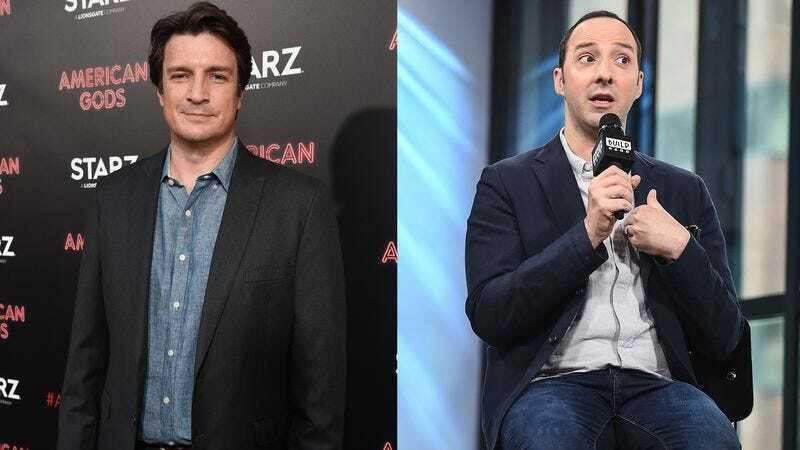 Per The Hollywood Reporter, the Neil Patrick Harris-fronted kids’ show has added Veep and Arrested Development star Tony Hale, plus Harris’ old Dr. Horrible buddy Nathan Fillion, to its roster of doomed souls. Netflix has yet to set a start date for the show’s second season, although it issued a renewal notice just a few weeks after the series’ January premiere. When it happens, though, Sara Rue, Lucy Punch, and Roger Bart will also be joining the show’s cast, which includes Harris, Alfre Woodard, K. Todd Freeman, Malina Weissman, Louis Hynes, Presley Smith, and Patrick Warburton, as enigmatic author Lemony Snicket himself.